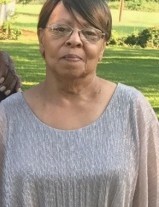 Ms. Mary Parks, 75, of 1404 Downing Street, Wilson, NC, passed away on October 31, 2018 at her home. The funeral service is scheduled for Saturday, November 10, 2018 at 2:00 pm at Brown Chapel FWB Church, Hadley Street, Wilson, NC. Bishop Willie Thomas will deliver the eulogy. Burial will follow in Rest Haven Cemetery, Lane Street, Ext., Wilson, NC. A public visitation will be held on Friday, November 9, 2018 from 3:00 pm until 6:00 pm at Stevens Funeral Home, 1820 Martin Luther King, JR. Parkway, Wilson, NC. Ms. Parks was preceded in death by her husband, Samuel Gerald Parks; her parents, William Hines and Odessa Hines and one sister, Mazie Lee Ellis. She leaves cherished memories to: one son, Sammy J. Parks (friend, Wanda Best) of Wilson, NC; four daughters, Sheila Hines Wells (Isaac) of Lucama, NC, Lynette Johnson (Tony) of the home, Geraldine "Pat " Batts and Cynthia Parks both of Wilson, NC; two step children, Michael Carr (Sharon) and Pamela Carr both of Wilson, NC; twenty eight grandchildren; forty nine great grandchildren;; two great great grandchildren; one sister, Minnie Bell Hines of Wilson, NC; one brother, Willie Lee Hines of the home; a special niece, Linda Dingle; a sister-in-law, Anita Wright (Charles) of Georgia; one brother-in-law, William Parks (Nedra); a host of other relatives and friends. Arrangements are by Stevens Funeral Home, 1820 Martin Luther King,Jr. Parkway, Wilson, NC.